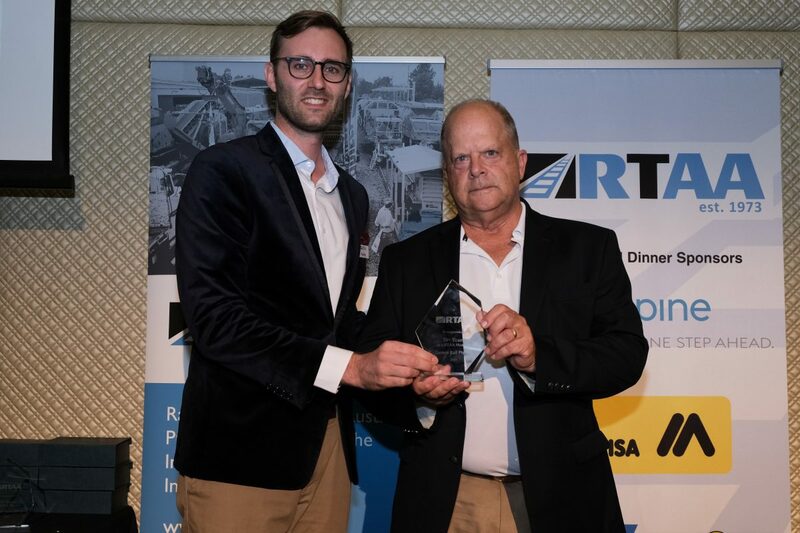 Gemco Rail – National Sales Manager Mr. Jim Griffiths was presented with a 20 year membership award from RTAA – President Thomas Kerr at the recent RTAA Annual Dinner on the 3rd April 2019. The Rail Track Association Australia, (RTAA), is a voluntary, not-for-profit organisation, dedicated to pursuing and promoting the interests of rail infrastructure within the Australian community. With a proud history which began in 1973, the RTAA brings together owners, contractors, consultants, manufacturers, suppliers, academics, research and development personnel, regulators and individuals who are part of the Australian rail community. Membership is invited from individuals, corporations, government bodies, tertiary education and institutions. Higher Power Industries (HPI) and Gemco Rail (Gemco) have announced the execution of a Strategic Partnership Agreement for the distribution of locomotive parts and components to the Australian and New Zealand markets. This exclusive Agreement designates Gemco Rail as its authorized stockist and distributor of HPI Rail’s overall locomotive product line, leveraging Gemco’s strategic footprint and technical sales support for its ANZ rail customers. HPI is a world-leading provider of locomotive services for the rail market. HPI also specializes in innovative engineering and modernization solutions for the freight rail transportation markets. Having serviced customers across 5 continents, HPI continues to seek global growth through expanded offerings. “Our partnership with Gemco Rail, a recognized leading provider of components and services in the ANZ rail market, better aligns our efforts to support our mutual rail customers in Australia and New Zealand”, said HPI’s Gary Walsh, VP of Business Development. With Gemco’s extensive national footprint and warehousing support in Melbourne, Perth, Newcastle, and Brisbane, Gemco will support sales and distribution of HPI products. This includes creating tailored supply chain solutions, targeting reduced lead times, improving working capital management and increasing supply chain flexibility. “We are delighted with this agreement to be HPI’s preferred channel to the Australian and New Zealand rail markets. HPI’s broad locomotive product portfolio coupled with Gemco Rail’s customer-focused supply chain solutions positions us well to better serve our ANZ customers” said Geoff Thorn, Gemco Rail’s Executive General Manager. Higher Power Industries is a global provider of freight and passenger locomotive services, including overhaul, upgrade, renewal parts, engineering and project management. HPI’s unique service offering provides its customers access to industry-renowned technical expertise and customer support, coupled with a direct line of supply of high-quality OEM and OEM-equivalent aftermarket renewal parts. Gemco Rail is part of ASX listed Engenco Limited. Gemco is a leading independent supplier of rolling stock products & services to the Australian and New Zealand rail industry specialising in the supply, maintenance and overhaul of wagons, locomotives, passenger cars and rolling stock components and track maintenance equipment. Gemco Rail – Executive General Manager Mr. Geoff Thorn is presented formal certification from Amsted Rail – Vice President Commercial Southern Hemisphere Mr. Arun Dhir as the sole authorised Australian and New Zealand reconditioner for Brenco Bearings. Gemco Rail and Amsted Rail announced the execution of a Strategic Partnership Agreement for the distribution of Amsted Rail products to the Australian and New Zealand markets in January 2017. Amsted Rail and Gemco Rail have announced the execution of a Strategic Partnership Agreement for the distribution of Amsted Rail freight wagon products to the Australian and New Zealand markets. 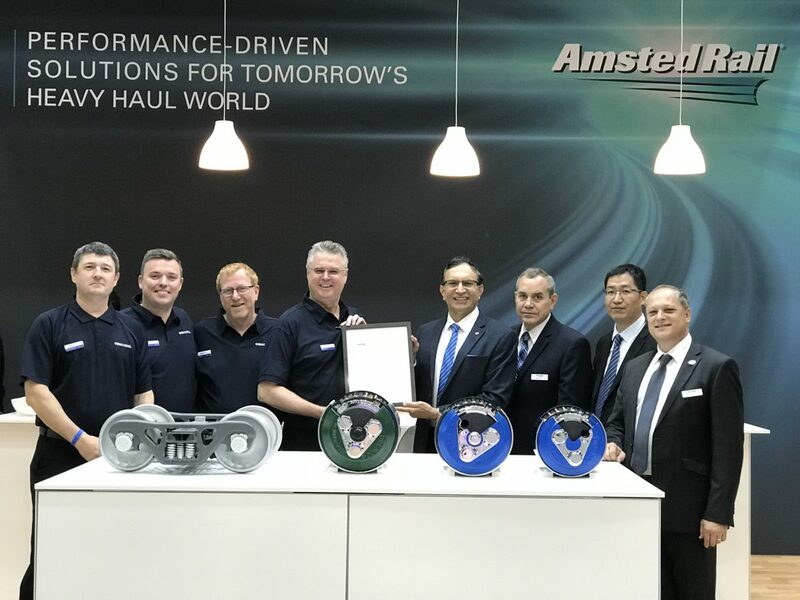 This exclusive Agreement designates Gemco Rail as its authorized stockist and distributor of Amsted Rail’s wagon products, leveraging Gemco’s strategic footprint and technical sales support for its ANZ rail customers. 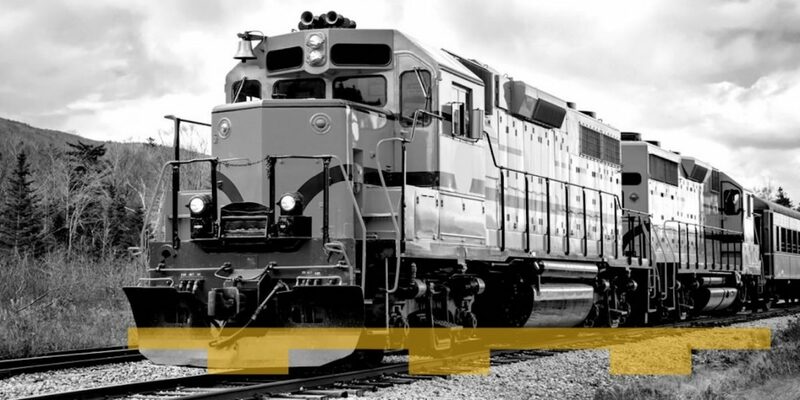 Amsted Rail is the world’s leading manufacturer of bogie systems, tapered roller bearings, railway wheels, couplers, yokes, draft gears, and conventional brake products, for use in heavy haul freight wagons and locomotives. Amsted Rail has more than forty locations around the world. Amsted Rail has been providing innovative component designs for the freight rail transportation markets for over a century. “Our partnership with Gemco Rail, a recognized leading provider of components and services in the ANZ rail market, better aligns our efforts to support our mutual rail customers in Australia and New Zealand”, said Brad A. Myers, Vice President and Chief Commercial Officer, for Amsted Rail. 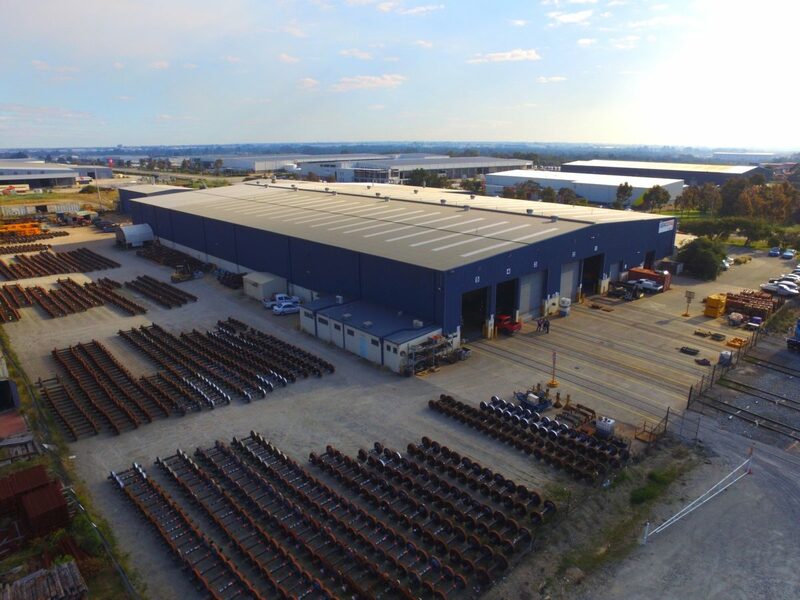 With Gemco Rail’s extensive national footprint and warehousing support in Melbourne, Perth, Port Hedland, Newcastle, and Brisbane, Gemco will jointly support sales and distribution of Amsted Rail products. This includes creating tailored supply chain solutions targeting reduced lead times, improving working capital management, and increasing supply chain flexibility. “We are delighted with this agreement to be Amsted’s preferred channel to the Australian and New Zealand rail markets. Amsted’s broad, technology-based product portfolio coupled with Gemco Rail’s customer-focused supply chain solutions, positions us well to better serve our ANZ customers” said Geoff Thorn, Gemco Rail’s Executive General Manager.